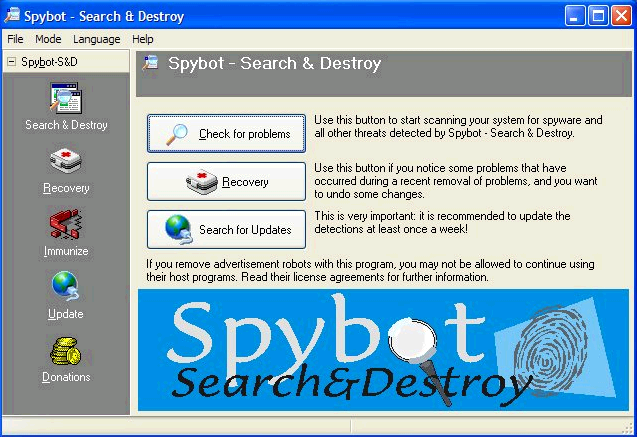 Spybot is a free anti-spyware and anti-adware. It detects spyware, adware, and other malicious software on your system, and removes that. Spyware Search & Destroy can detect and remove a wide range of spyware and malware successfully. Spybot also comes with a built-in file shredder, to remove all the remains of deleted files from your system. It also has option to fix registry entries. Spybot has two modes: Easy mode, and Advanced mode. Easy mode is for everyday users, who do not want to do lot of customizations. Advanced mode is for advanced users. Some additional functions are available in this mode, like, changing skins and detecting registry errors. Removes Web and Program Usage tracks. Free email, and forum support. Automate scan, removal of threats, and database update. 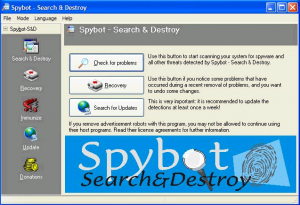 Spybot is an easy to use, and effective Free anti-spyware software. If you are looking for more free Anti-spyware, check out here. Download links, and Video Tutorials at the end.